Thin and flexible and allows for cutting 4 layers of fabric and fusible. 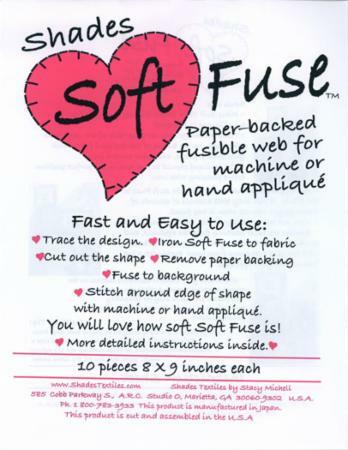 10 pieces of 8" x 9" of soft paper-backed fusible web for machine or hand-applique. It is the perfect size for applique patterns.